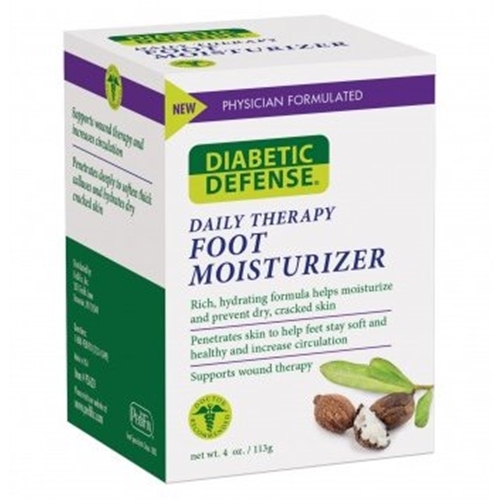 Diabetic Defense Daily Therapy Foot Moisturizer from HealthyKin.com uses a rich, hydrating formula to help moisturize and prevent dry, cracked skin. It penetrates skin to help feet stay soft and healthy and increase circulation. Very good for burning sensation of feet.